Let’s start with a question. What seems like a bigger challenge: fixing a flawed economic system, or dealing with the catastrophic consequences of uncontrolled climate change? How about another one: would you rather hand over billions to bail out a bank, or to help ensure the our planet remains liveable? Extreme, right? No. We’re in the position where our world is collapsing around us, our governments are doing absolutely nothing to stop it and we’re throwing away almost a trillion dollars a year in global subsidies to the companies that are ostensibly killing us. It’s absurd. 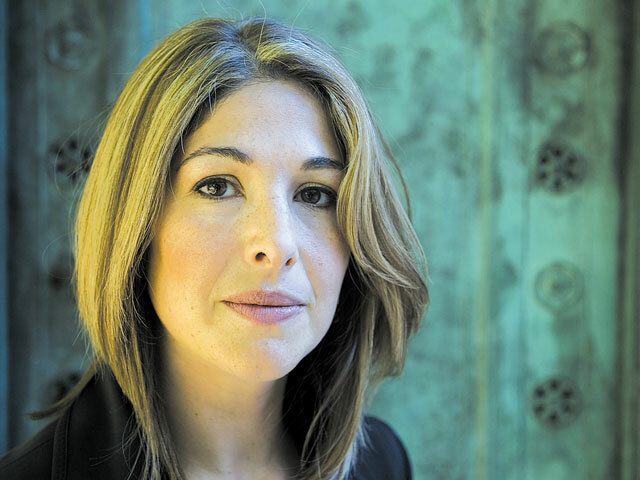 Naomi Klein, who always causes a stir with her books, argues in her latest, This Changes Everything: Capitalism vs. the Climate, that the time of small fixes to avoid catastrophic climate change has long since come and gone and that we need to radically rethink the way we live and structure our societies in order to affect positive change. Needless to say, the book is daunting, but it still manages to convey a sense of hope that it is possible to overcome the hurdles and to fix our world. “I think that I believe it’s still possible. That doesn’t mean that I think it’s likely. I mean, I’ve been meeting people on the road who have really given up all hope, and just feel like we are in hospice and should just enjoy the scenery on the way down. I’m not at that point. I think being hopeful against these odds is a choice,” says Klein over the phone. Her book is an elegant argument against the unbridled capitalism unleashed on the world in this era of global free trade, and its effects on the climate. As Klein describes it, our timing was terrible, with climate conferences starting work on treaties at the same time as international trade deals reshaped governance, regulations and the economy. Unsurprisingly, the trade deals rushed forward with strong monitoring and punishments for transgressors, while climate deals faltered and were ignored. Our global emissions in 2013 were 61 per cent higher than 1990, when the first climate treaty talks began. “It’s a two-pronged issue. One is… we can’t regulate and that’s why we have failed to respond to this crisis, and then there’s the growth issue that I think cuts beyond deregulated capitalism,” say Klein, addressing the need of our current economy to constantly expand. A longtime critic of international trade and the sort of unrestricted pillaging that comes with it, even Klein wasn’t prepared for what she found while working on this book. “When I started the book, I did understand this clash between the sort of extreme free-market fundamentalism and what we need to do to respond to climate change, but I didn’t have my head wrapped around those numbers, those sort of terrifying numbers around how quickly we need to cut our emissions and what a challenge that represents to economic growth,” she says. This Changes Everything isn’t just a screed against capitalism, though. Klein argues effectively for new ways forward and highlights the kind of resistance that is springing up around the world to fight extractive industries like mining and oil and gas exploration — particularly heavy oil and fracking operations. We meet Alberta’s Beaver Lake Cree, as well as protestors in Greece and beyond, all joined by an opposition to building infrastructure that will lock us in dependence on these destructive industries for years. She calls this loose gathering of pockets of resistance Blockadia, and lauds the role of indigenous communities in driving and aiding the fight. Klein’s solutions lie in the need to rein in the economic system, allowing for public, small-scale control of utilities to force green solutions, funding green developments in the developing world and increasing taxation on consumption and death-dealing industries. We need job training in low-income communities and countries to help lead to a new world where those left behind today can survive and grow in a new economy that respects the environment. As she puts it, we need equitable sacrifice, with industry and the wealthy taking just as much, or more, of a hit than those lower down the line. She even outlines ways to pay for all of this, with a large chunk coming from existing oil and gas subsidies. Needless to say, Alberta doesn’t come out looking all that good in this book, and for good reason. Not only is this province home to one of the more destructive enterprises on the planet, it’s also home to the gilded towers where decisions are made on Canada’s oil and gas industry and its planned pipelines. So how does she feel about reading here?